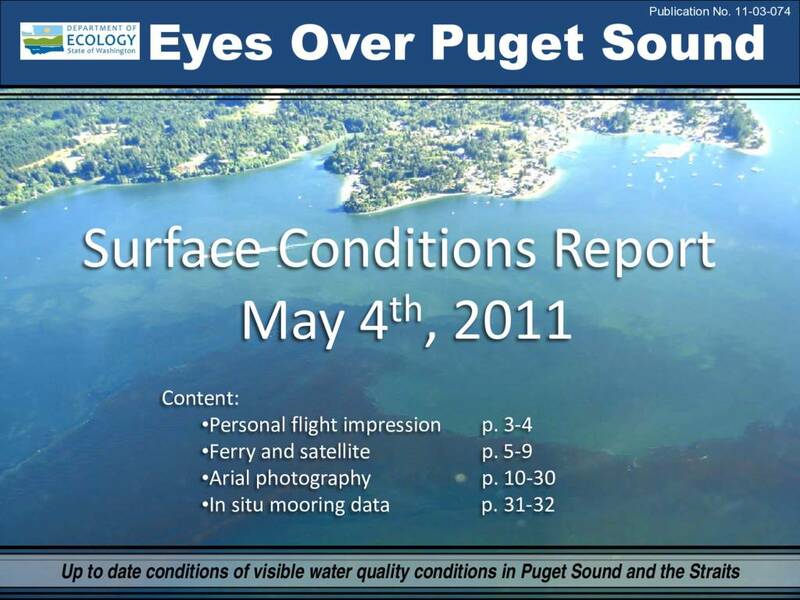 Description Multiple algal blooms in South Sound and Main Basin. Ferry and satellite images confirm center of algae bloom in the Main Basin and indication of a bloom in Carr Inlet. Oxygen levels are increasing on moorings. Oil sheen in Colvos Passage.